 Shop Online for OEM-Quality Belts Made in the USA! Get OEM quality ag belts at a better price. You’re the kind of farmer who doesn’t need a mechanic to install an ag belt on your equipment. And you don’t want to waste money on a cheap belt that will break when you’re in the middle of harvest. You’re our kind of farmer. USA Belting offers long-lasting, OEM quality agricultural belts for balers, swathers,combines and cotton pickers at a lower price than the dealer. USA Belting is happy to offer free shipping in the US and deeply discounted shipping costs to Canada for all of our agricultural belts. And you won’t have to wait long to receive your order. In most cases, all orders made before noon are shipped the same day. No catalog is necessary. Find the right ag belts for your equipment in our online store right now, and it will be delivered to your front door in no time. And if you can’t find the belt you need in the online store, feel free to contact us with your specific needs. Find the right agricultural belt for your hay baler in our online store. We have baler belts for John Deere, New Holland and much more. Browse our selection of agricultural belts for all models of swathers, from John Deere, Hesston and much more. USA Belting offers a broad selection of ag belts for combines of all makes and models. Click here to browse our combine belts.